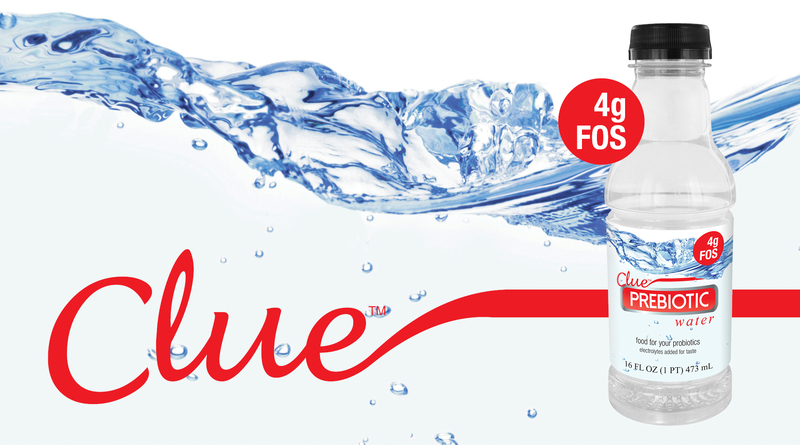 Description: Clue Prebiotic Water- food for your probiotics. Clue contains 4g of FOS (fructooligosaccharides) to stimulate an increase in the number of beneficial probiotic bacteria in your gut. FOS is available in a variety of fruits, vegetables, & grains. To get four grams of FOS, you would have to eat 20 onions, 29 bananas or 510 garlic cloves, or drink just one bottle of Clue Prebiotic Water. We support our affiliates with links to unbiased information on prebiotics and are available to answer any questions. Promotional images are available on request.